(CNSNews.com) - The amount of money the federal government takes out of the U.S. economy in taxes will increase by more than 30 percent between 2012 and 2014, according to the Budget and Economic Outlook published today by the CBO. At the same time, according to CBO, the economy will remain sluggish, partly because of higher taxes. The U.S. economy, CBO projects, will perform “below its potential” for another six years and unemployment will remain above 7 percent for another three. According to the CBO report, federal tax revenues equaled $2.302 trillion in fiscal 2011, and will increase to $2,523 trillion in fiscal 2012, $2,988 trillion in fiscal in 2013, and $3,313 trillion in 2014. As a percentage of GDP, according to CBO, federal tax revenues were 15.4 percent in fiscal 2011, and will be 16.3 percent in 2012, 18.8 percent in 2013, and 20.0 percent in fiscal 2014. In dollar terms, the anticipated increase in federal tax revenue from fiscal 2011 ($2.302 trillion) to fiscal 2014 ($3.313 trillion) is $1.011 trillion. That is an increase of 43.9 percent. From just 2012 to 2014, the increase in federal tax revenues from $2.523 trillion to $3.313 trillion equals $790 billion—or 31.3 percent. (Reuters) - Home prices fell more steeply than expected in November, and consumers turned less optimistic in January, highlighting the hurdles still facing the bumpy economic recovery. "We are braced for a more bumpy picture over the next few months. A lot of expectations probably ran away or got a little too lofty coming into the end of the year," said Sean Incremona, economist at 4Cast Ltd in New York. "We are still in a very modest recovery, and we do see consumption slowing this quarter, and data like this supports that picture." "I'm absolutely of the opinion we've bottomed out. The debate now is whether the recovery begins, and I'm not sure that recovery is earnestly underway," said Eric Lascelles, chief economist at RBC Global Asset Management in Toronto. "The reality is the housing market is so far from normal that it will take years to get back to its normal state. Similarly it will take a while before it really is contributing properly to economic growth." The day's disappointing data took Wall Street lower, undermining earlier optimism over a possible Greek debt deal. "With the global economy slowing and domestic fiscal policy a drag on growth, the wellbeing of the U.S. consumer is crucial to the recovery," Alistair Bentley, economist at TD Bank Group, wrote in a note. "Today's number, coupled with yesterday's disappointing personal spending data, offers a reminder that underlying demand is still too soft to absorb the economy's excess slack." With the ongoing advancements in modern technology it should come as no surprise that military agencies, in this case the United States military, are seeking to apply new technologies to the battlefield. Since a warzone can be a hellish place where one mistake can mean jeopardizing the life of a fellow soldier or even your own, soldiers learn quickly that they must always be alert and on guard. Often placed under extreme conditions, soldiers must rely on unbridled discipline, a great degree of patience, and of course a skilled level of marksmanship. But thanks to new government research by Sandia National Laboratories, American troops might be getting some much appreciated help in the form of self-guided bullets. Sandia National Laboratories has long been at work with the United States military developing the ultimate “smart bullet.” It announced today that a successful prototype of the bullet was created and tested at distances of over a mile (about 2,000 meters). “We have a very promising technology to guide small projectiles that could be fully developed inexpensively and rapidly,” said Sandia researcher Red Jones. Sandia’s new technology features a dart-like “smart bullet” that allows for unprecedented movement while in flight. Working in tandem with laser designators, each bullet measures around four inches in length. An optical sensor can be seen at the tip of the round, which can detect a laser beam that would be used to “paint” a target. Inside, the bullets are able to communicate with the different sensors that are gathered via sensors which also communicate with the bullet allowing it to steer and maneuver to its destination. Chief among the new “smart bullets” abilities is the way in which the guided rounds can actually “self correct” its navigational path 30 times a second and at the same time traveling at the speed of sound. Given that bullets, by nature, have been engineered to travel in as straight a line as possible, the entire design of Sandia’s bullets needed to be re-engineered. For example, you may notice that when you throw a football the spin achieved after the ball is properly thrown allows for it to travel farther and faster. The concept is similar here, only in order to allow the bullet to change course, the researchers needed to eliminate that spin, and instead utilized tiny fins similar to that of a dart. According to Sandia, which conducted computer aerodynamic modeling tests, unguided bullets under real-world conditions could miss a target more than a half mile away (1,000) meters by 9.8 yards (9 meters), but a guided bullet would get within eight inches (0.2 meters). It’s no secret that the desire for self-guided bullets is something the U.S. military has been pursuing for some time. In fact, back in 2008 Lockheed Martin, who fully owns Sandia National Laboratories, was awarded a lucrative contract worth $12.3 million as part of Darpa’s “Exacto” program, which sought out to develop and produce sniper rifles with guided bullets. It would appear that the investment is paying off. However, Sandia’s research regarding its self-guided bullet could possibly allow for a much wider application than originally intended. While the innovative smart round was initially planned for larger caliber guns the technology could also permit the company to implement it not only in sniper riflles, but small-caliber firearms as well. Additionally, Sandia’s new technology could be supplied to not only the military, but law enforcement agencies and perhaps even commercially to recreational shooters such as hunters. Fierce clashes approached the Syrian capital on Sunday as fresh violence across the country killed at least 59 civilians, 31 regime troops and nine army deserters, according to activists. Regime forces fired heavy artillery and mortar rounds against the Damascus suburbs of Douma, Saqba, Irbin and Hamouriyeh and were locked in close battle with rebel fighters emboldened by a fresh wave of desertions, activists said. Meanwhile, the Local Coordination Committees, the main activist group spurring protests on the ground, said security forces killed 17 people in Damascus and its suburbs Kfarbatna, Saqba, Hamouriyeh, Rankous, Zabadani and Harasta. Regime troops also shot dead 19 people in the central opposition bastion Homs, four people in the flashpoint central province of Hama, six in the restive northwestern province of Idlib, four in the southern province of Daraa, the cradle of the revolt, and one in the eastern oil hub of Deir al-Zour, the LCC said. For its part, the London-based Syrian Observatory for Human Rights said 26 regime soldiers, five other members of the security forces and nine army deserters were also among those killed as the regime cracked down on protesters and rebels. The watchdog said the regime soldiers were killed in three separate attacks in the Idlib and Damascus regions. The Observatory said earlier that 10 members of the military were killed when their convoy was attacked in Jebel al-Zuwiya in the northwest, and the official SANA news agency said "an armed terrorist group" killed six others near Damascus. "The more the regime uses the army, the more soldiers defect," Ahmed al-Khatib, a local rebel council member on the Damascus outskirts, told Agence France Presse. A spokesman for the rebel Free Syrian Army, which boasts 40,000 men and whose leadership is in Turkey, said that the fighting came a day after "a large wave of defections," with 50 officers and soldiers turning their back on Assad. In a "steady progression of fighting towards the capital," spokesman Maher Nueimi said deserters were clashing with army regulars only eight kilometers from Damascus. The regime, in turn, has launched "an unprecedented offensive in the past 24 hours, using heavy artillery" against villages in Damascus and Hama province of central Syria, Nueimi said. Other rebel spokesmen reported heavy fighting in Rankous, 45 kilometers from Damascus, and of heightened tension in Hama, further to the north. Rankous was "besieged for the past five days and is being randomly shelled since dawn by tanks and artillery rounds," rebel Abu Ali al-Rankousi told AFP by telephone. In Hama, pro-regime snipers were deployed on the rooftops, according to activists, with security forces leaving "bodies of dead people with their hands tied behind their backs" on the streets across several neighborhoods. It was this latest surge in violence that pushed the Arab League to suspend its mission to Syria in a surprise move on Saturday. U.N. chief Ban Ki-moon said Sunday that Syrian President Bashar al-Assad must end the killings. "First and foremost, he must stop immediately the bloodshed," Ban told reporters. "The Syrian leadership should take a decisive action at this time to stop this violence. All the violence must stop." But Syrian Interior Minister Mohammed al-Shaar said the authorities were determined to "cleanse" the country and restore order. "The security forces are determined to carry on the struggle to cleanse Syria of renegades and outlaws ... to restore safety and security," SANA quoted Shaar as saying. At least 5,400 people have been killed in the regime’s crackdown on dissent since March, according to the United Nations. The regime does not recognize the scale of the protest movement that erupted in mid-March, insisting it is fighting "terrorist groups" seeking to sow chaos as part of a foreign-hatched conspiracy. BRUSSELS (AP) - Investors participating in a deal to slash Greece's massive debt would face an overall loss on their bond holdings of more than 70 percent, a person involved in with the negotiations said early Tuesday. Athens and representatives of investors holding Greek government bonds over the weekend came close to a final agreement designed to bring Greece's debt down to a more manageable level. Without a restructuring, those debts would swell to around double the country's economic output by the end of the year. The person involved in the talks said Monday that the more-than 70 percent loss was the result of cutting the bonds' face value in half, reducing the average interest rate to between 3.5 per cent and 4 percent and pushing repayment of the bonds 30 years into the future. A second person briefed on the talks confirmed that the loss on the so-called net present value of the bonds would be around 70 percent. Both people spoke on condition of anonymity because the talks are confidential. The deal, which would reduce the country's debt by about euro100 billion ($131.1 billion) and save it billions of euros in interest payments, needs to be completed quickly. Greece runs the risk of a disorderly default on March 20, when it faces a euro14.5 billion bond repayment it cannot afford without additional help. Many investors—banks, insurance companies and hedge funds—who hold Greek bonds also hold debt from other countries that use the euro, which could lose value if there is a fully fledged Greek default. This is the scenario the eurozone fears most and why the currency union hopes investors will voluntarily accept a partial loss on their Greek bonds. The agreement taking shape is a key step before Greece can get a second, euro130 billion bailout. The country has been surviving since May 2010 on an initial euro110 billion ($144.21 billion) package of rescue loans from other countries using the euro and the International Monetary Fund. Even a deal is inked, there is no guarantee that Greece won't need more help. "It's too early now to say whether we will need some extra public funding," Greek prime minister Lucas Papademos said after a meeting with other top European officials in Brussels early Tuesday. "Our goal is to avert such an alternative." More public sector support could either mean more bailout loans—something that the eurozone is reluctant to commit to—or a deal with the European Central Bank to also give Greece a break on its debt. The ECB holds some euro55 billion in Greek government bonds, which it purchased at around euro40 billion in the early days of the debt crisis, according to analyst estimates. One option would be to allow Greece to buy back those bonds at the price the ECB paid to buy them, slicing another euro15 billion or so off what the country owes. However, so far the ECB has ruled out participating in any debt restructuring. On top of restructuring its debt with private investors, Greece must also take other steps to secure further aid. It must cut its deficit and boost the competitiveness of its economy through layoffs of public sector workers and the sale of several state companies, among other moves. Papademos said the so-called troika of debt inspectors—the European Commission, the ECB and the IMF—were calling for further spending cuts to meet budget targets and agreements to lower labor costs. But Greece's partners in the eurozone have grown frustrated with the country's slow implementation of austerity measures and economic reforms promised almost two years ago. In recent days, they have discussed ways of monitoring Athens' efforts even more closely, including giving the European Commission, the power to block spending decisions that threaten the country's ability to repay its debts. Earlier Monday, Greek lenders Eurobank and Alpha Bank said a planned merger to create the country's largest bank by assets could be put on hold because of the negotiations over the bond swap. The banks said that "an accurate timeline cannot be given" to complete the deal announced last August because of the negotiations. Greece's finance ministry expressed surprise at the announcement, arguing that the negotiations had produced "nothing new or different" to factors already taken into account by both banks. The People’s Bank of China, the central bank, has been hinting that it is purchasing. “No asset is safe now,” said the PBOC’s Zhang Jianhua at the end of last month. “The only choice to hedge risks is to hold hard currency—gold.” He also said it was smart strategy to buy on market dips. Analysts naturally jumped on his comment as proof that China, the world’s fifth-largest holder of the metal, is in the market for more. There are a few problems with this conclusion. First, the Chinese government rarely benefits others—and hurts itself—by telegraphing its short-term investment strategies. Second, the central bank has less purchasing power these days. China’s foreign reserves declined in Q4 2011, falling $20.6 billion from Q3. The first quarterly outflow since 1998 was not large, but the trend was troubling. The reserves declined a stunning $92.7 billion in November and December. Third, the purchase of gold would be especially risky for the central bank, which is already insolvent from a balance sheet point of view. The PBOC needs income-producing assets in order to meet its obligations on the debt incurred to buy foreign exchange, so the holding of gold only complicates its funding operations. This is not to say the bank never buys gold—it obviously does—but there are real constraints on its ability to purchase assets that do not provide current income. Apart from China’s central bank, there is not much demand from the country’s institutional investors for gold. There are industrial users, of course, but their demand is filled from domestic production—China is the world’s largest gold producer. Most of China’s gold demand from foreign sources, therefore, is from individuals. So why are individuals now buying gold? The easy answer is that the demand is only seasonal, as Jeff Wright of Global Hunter Securities believes. The Chinese traditionally buy gold presents in the run-up to the Lunar New Year, which started a week ago. Yet gift-giving does not begin to explain the surge in gold purchases that started as far back as July. November was the fifth-consecutive month of China’s record gold purchases from Hong Kong. A better explanation for the gold-buying binge of Chinese citizens is that they are using the shiny commodity as an inflation hedge, as the Financial Times recently suggested. Yet the buying of gold has increased while inflation has eased. And that means there must be another explanation. The best explanation is that individuals in China are using gold as a substitute for capital flight. Although indicators showed the Chinese economy faltered only at the end of September, there had been a growing sense of pessimism inside the country for months before then. Beijing, after all, could build only so many “ghost cities” before citizens began to notice. As Joseph Sternberg of the Wall Street Journal Asia said on the John Batchelor Show last Wednesday, “people inside China seem to be losing faith in the Chinese growth story that we’ve been hearing so much about for the past few years.” Estimates of capital flight are sketchy, but it appears there was $34 billion of it in the third quarter of last year and a $100 billion in the fourth. Not every Chinese citizen is in the position to export cash, so the next best tactic for the nervous is to buy gold, a refuge from plunging property prices and declining stock markets as well as an anticipated depreciation of their currency. “Within China,” notes Michael Pettis of Peking University, “many are going to argue that the rapid decline in the trade surplus, coupled with unmistakable evidence of flight capital, means that the PBOC should devalue the RMB.” And the fact that China’s leaders in public are talking about the adverse impact of the European crisis on China weighs heavily on sentiment. The worst thing about capital flight and gold purchases is that they drain liquidity out of the Chinese economy just when it is needed most. Beijing can continue to work its magic as long as strict capital controls keep money inside the country. Once they fail to do so, however, all bets are off. The purchasing of gold, of course, results in the exporting of cash. Chinese asset values have not yet crashed across the board, but the buying of gold—a leading indicator of panic—is an especially troubling sign that they will. Therefore, it is not surprising that gold purchases by Chinese citizens and investors are frightening Beijing’s technocrats. At the end of last month, they shut all of the countries gold exchanges other than two of them in Shanghai. BYRON, Ill. (AP) -- A nuclear reactor at a northern Illinois plant shut down Monday after losing power, and steam was being vented to reduce pressure, according to officials from Exelon Nuclear and federal regulators. Exelon Nuclear officials believe a failed piece of equipment at a switchyard caused the shutdown. The switchyard is similar to a large substation that delivers power to the plant from the electrical grid and that takes power from the plant to the electrical grid. Officials were still investigating the equipment failure. Nuclear Regulatory Commission spokeswoman Viktoria Mitlyng said officials can't yet calculate how much tritium is being released. They know the amounts of tritium are small because monitors around the plant aren't showing increased levels of radiation, she said. Tritium molecules are so small that tiny amounts are able to pass from radioactive steam from the reactor into the water used to cool the turbines and other equipment outside the reactor. The steam that was being released was coming from the turbine side. The amount of releasing steam helps "take away some of that energy still being produced by nuclear reaction but that doesn't have anywhere to go now." Even though the turbine is not turning to produce electricity, she said, "you still need to cool the equipment." BAGHDAD — A month after the last American troops left Iraq, the State Department is operating a small fleet of surveillance drones here to help protect the United States Embassy and consulates, as well as American personnel. Some senior Iraqi officials expressed outrage at the program, saying the unarmed aircraft are an affront to Iraqi sovereignty. Syrian security forces attempted to smuggle Syrian President Bashar Assad's family out of the country, sources from the Syrian opposition told Al-Masry-Al-Youm Sunday evening, according to a report published by the Egyptian daily. According to the report, security forces tried to aid the president's wife Asma Assad, to escape via Damascus, along with his children, mother and cousin. The sources told Al-Masry-Al-Youm that "a convoy of official vehicles was seen heading to the airport in Damascus," before they were intercepted by brigades of army defectors. According to the source, there was a heavy exchange of fire between the security forces and the Free Syrian Army forces; the family were prevented from escaping and returned to the presidential palace. The opposition Syrian Observatory for Human Rights reported a total of 41 civilian deaths across Syria on Sunday, including 14 in Homs province and 12 in the city of Hama. Thirty-one soldiers and members of the security forces were also killed, most of them in two attacks by army deserters in the northern province of Idlib, it said. Activists said that Syrian soldiers killed 19 people in fighting to retake Damascus suburbs from rebels on Sunday. A day earlier, the Arab League suspended its monitoring mission because of mounting violence. General Stanley McChrystal, the innovative, forward-thinking commanding general of international and U.S. forces in Afghanistan, was living large. He was better known to some as Big Stan, M4, Stan, and his loyal staff liked to call him a "rock star." 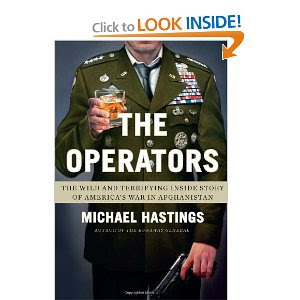 During a spring 2010 trip across Europe to garner additional allied help for the war effort, McChrystal was accompanied by journalist Michael Hastings of Rolling Stone. For days, Hastings looked on as McChrystal and his staff let off steam, partying and openly bashing the Obama administration for what they saw as a lack of leadership. When Hastings's piece appeared a few months later, it set off a political firestorm: McChrystal was ordered to Washington, where he was fired unceremoniously. BEIRUT — In dozens of tanks and armored vehicles, Syrian troops stormed rebellious areas near the capital Sunday, shelling neighborhoods that have fallen under the control of army dissidents and clashing with fighters. At least 62 people were killed in violence nationwide, activists and residents said. The widescale offensive near the capital suggested the regime is worried that military defectors could close in on Damascus, which has remained relatively quiet while most other Syrian cities descended into chaos after the uprising began in March. The rising bloodshed added urgency to Arab and Western diplomatic efforts to end the 10-month conflict. The violence has gradually approached the capital. In the past two weeks, army dissidents have become more visible, seizing several suburbs on the eastern edge of Damascus and setting up checkpoints where masked men wearing military attire and wielding assault rifles stop motorists and protect anti-regime protests. Their presence so close to the capital is astonishing in tightly controlled Syria and suggests the Assad regime may either be losing control or setting up a trap for the fighters before going on the offensive. Residents of Damascus reported hearing clashes in the nearby suburbs, particularly at night, shattering the city's calm. "The current battles taking place in and around Damascus may not yet lead to the unraveling of the regime, but the illusion of normalcy that the Assads have sought hard to maintain in the capital since the beginning of the revolution has surely unraveled," said Ammar Abdulhamid, a U.S.-based Syrian dissident. "Once illusions unravel, reality soon follows," he wrote in his blog Sunday. Soldiers riding some 50 tanks and dozens of armored vehicles stormed a belt of suburbs and villages on the eastern outskirts of Damascus known as al-Ghouta Sunday, a predominantly Sunni Muslim agricultural area where large anti-regime protests have been held. Some of the fighting on Sunday was less than three miles (four kilometers) from Damascus, in Ein Tarma, making it the closest yet to the capital. The fighting using mortars and machine guns sent entire families fleeing, some of them on foot carrying bags of belongings, to the capital. "The shelling and bullets have not stopped since yesterday," said a man who left his home in Ein Tarma with his family Sunday. "It's terrifying, there's no electricity or water, it's a real war," he said by telephone on condition of anonymity, for fear of reprisals. The uprising against Assad, which began with largely peaceful demonstrations, has grown increasingly militarized recently as more frustrated protesters and army defectors have taken up arms. In a bid to stamp out resistance in the capital's outskirts, the military has responded with a withering assault on a string of suburbs, leading to a spike in violence that has killed at least 150 people since Thursday. BEIRUT — The United Nations says at least 5,400 people have been killed in the 10 months of violence. Arab League Secretary-General Nabil Elaraby told reporters Sunday in Egypt that contacts were under way with China and Russia. "I hope that their stand will be adjusted in line with the final drafting of the draft resolution," he told reporters before leaving for New York with Qatari Prime Minister Hamad bin Jassim. Because of the escalating violence, the Arab League on Saturday halted the work of its observer mission in Syria at least until the League's council can meet. Arab foreign ministers were to meet Sunday in Cairo to discuss the Syrian crisis in light of the suspension of the observers' work and Damascus' refusal to agree to the transition timetable, the League said. U.N. chief Ban Ki-moon said he was "concerned" about the League's decision to suspend its monitoring mission and called on Assad to "immediately stop the bloodshed." He spoke Sunday at an African Union summit in Addis Ababa. The Syrian Observatory for Human Rights said at least 27 civilians were killed Sunday in Syria, most of them in fighting in the Damascus suburbs and in the central city of Homs, a hotbed of anti-regime protests. Twenty-six soldiers and nine defectors were also killed, it said. The soldiers were killed in ambushes that targeted military vehicles near the capital and in the northern province of Idlib. The Local Coordination Committees' activist network said 50 people were killed Sunday, including 13 who were killed in the suburbs of the capital and two defectors. That count excluded soldiers killed Sunday. The differing counts could not be reconciled, and the reports could not be independently confirmed. Syrian authorities keep tight control on the media and have banned many foreign journalists from entering the country. In Irbil, a Kurdish city in northern Iraq, about 200 members of Syria's Kurdish parties were holding two days of meetings to explore ways of supporting efforts to topple Assad. The EU will have to agree the national budgets of heavily indebted countries under a deal to be signed tomorrow at a summit in Brussels attended by David Cameron. The move will mean Greece losing control over its own budget, after Germany and the International Monetary Fund laid down increasingly harsh conditions for the indebted nation to receive its second £100 billion eurozone bail-out. With the country on the brink of default, Christine Lagarde, the managing director of the IMF, yesterday revealed that a “fiscal compact” was set to be signed by European Union leaders at their summit tomorrow. Last night, George Osborne, the Chancellor, said Britain may give more money to the IMF – a move opposed by Euro-sceptics – and that he would have to think very hard about turning down a request from the fund if other countries believed there was “a credible case” for ploughing more money in. “We are not in the euro, we don’t want to be in the euro, but do we want to be in the IMF? The answer to that question in my mind is yes,” he said. A leaked EU document revealed German plans for Greece to agree all its spending plans with a eurozone “budget commissioner”, who would have the power to veto tax and spending plans. The scheme caused anger in Athens yesterday. Anna Diamantopoulou, the education minister and a former EU commissioner, described the idea as “the product of a sick imagination”. Tomorrow’s meeting will also see European leaders discuss ways to help their economies grow amid fears that the Continent may slide back into recession this year. While Germany is calling for budget cuts and greater fiscal discipline, the IMF and others warn that such austerity could “strangle” growth. Tim Geithner, the US treasury secretary, has also warned of the risk that austerity leads to a recessionary “cycle”. Open Europe’s report will be discussed by an all-party group of MPs this week. If the Prime Minister does agree to an opt-out on justice laws, he risks a damaging row with the Liberal Democrats, who favour closer integration with Europe on crime and justice matters. A spokesman for the Home Office declined to comment on whether the Government would seek to use the block opt-out. A Downing Street spokesman also declined to comment. MOSCOW (AP) - Russia's defiance of international efforts to end Syrian President Bashar Assad's crackdown on protests is rooted in a calculation that it can keep a Mideast presence by propping up its last remaining ally in the region - and has nothing to lose if it fails. But Moscow's relations with Washington are already strained amid controversy over U.S. missile defense plans and other disputes. And Prime Minister Vladimir Putin seems eager to defy the U.S. as he campaigns to reclaim the presidency in March elections. "It would make no sense for Russia to drop its support for Assad," said Ruslan Pukhov, head of the independent Center for Analysis of Strategies and Technologies. "He is Russia's last remaining ally in the Middle East, allowing it to preserve some influence in the region." Moscow may also hope that Assad can hang on to power with its help and repay Moscow with more weapons contracts and other lucrative deals. And observers note that even as it has nothing to lose from backing Assad, it has nothing to gain from switching course and supporting the opposition. "Russia has crossed the Rubicon," said Igor Korotchenko, head of the Center for Analysis of Global Weapons Trade. He said Russia will always be marked as the patron of the Assad regime regardless of the conflict's outcome, so there's little incentive to build bridges with the protesters. The U.N. estimates that more than 5,400 people have been killed since the uprising began in March. "Russia will be seen as the dictator's ally. If Assad's regime is driven from power, it will mean an end to Russia's presence," said Fyodor Lukyanov, editor of the magazine Russia in Global Affairs. Syria has been Moscow's top ally in the Middle East since Soviet times, when it was led by the incumbent's father, Hafez Assad. The Kremlin saw it as a bulwark for countering U.S. influence in the region and heavily armed Syria against Israel. While Russia's relations with Israel have improved greatly since the Soviet collapse, ties with Damascus helped Russia retain its clout as a member of the Quartet of international mediators trying to negotiate peace between Israel and the Palestinians. After Bashar Assad succeeded his father in 2000, Russia sought to boost ties by agreeing to annul 73 percent of Syria's Soviet-era debt. In the mid-2000s, Putin said Russia would re-establish its place in the Mideast via "the Syria route." Syria's port of Tartus is now the only naval base Russia has outside the former Soviet Union. A Russian navy squadron made a call there this month in what was seen by many as a show of support for Assad. For decades, Syria has been a major customer for the Russian arms industries, buying billions of dollars' worth of combat jets, missiles, tanks and other heavy weapons. And unlike some other nations, such as Venezuela, which obtained Russian weapons on Kremlin loans, Assad's regime paid cash. The respected newspaper Kommersant reported this week that Syria has ordered 36 Yak-130 combat jets worth $550 million. The deal, which officials wouldn't confirm or deny, may signal preparations for even bigger purchases of combat planes. Korotchenko said Syria needs the jets to train its pilots to fly the advanced MiG-29M or MiG-35 fighter jets it wants to purchase: "It's a precursor of future deals." Korotchenko said Syria's importance as a leading importer of Russian weapons in the region grew after the loss of the lucrative Iraqi and Libyan markets. Russia, whose abstention in a U.N. vote cleared the way for military intervention in Libya, later voiced frustration with what it described as a disproportional use of force by NATO. The Kremlin has vowed not to allow a replay of the Libyan strategy in Syria, warning that it would block any U.N. resolution on Syria lacking a clear ban on any foreign military interference. Moscow accuses the West of turning a blind eye to shipments of weapons to the Syrian opposition and warns it won't be bound by Western sanctions. Earlier this month, a Syria-bound Russian ship allegedly carrying tons of munitions was stopped by officials in Cyprus, an EU member, who said it was violating an EU arms embargo. The ship's captain promised to head to Turkey but then made a dash to Syria. Asked about the ship, Russia's foreign minister bluntly responded that Moscow owes neither explanation nor apology to anyone because it has broken no international rules. Nonetheless, Moscow has shown restraint in its arms trade with Damascus, avoiding the sales of weapons that could significantly tilt the military balance in the region. In one example, the Kremlin has turned down Damascus' requests for truck-mounted Iskander missiles that can hit ground targets 280 kilometers (175 miles) away with deadly precision. While the sale of such missiles wouldn't be banned under any international agreements, Moscow has apparently heeded strong U.S. and Israeli objections to such a deal. Moscow also has stonewalled Damascus' request for the advanced S-300 air defense missile system, only agreeing to sell short-range ground-to-air missiles. "Russia has taken a very careful and cautious stance on contracts with Syria," Korotchenko said. The most powerful Russian weapon reportedly delivered to Syria is the Bastion anti-ship missile complex intended to protect its coast. The Bastion is armed with supersonic Yakhont cruise missiles that can sink any warship at a range of 300 kilometers (186 miles) and are extremely difficult to intercept, providing a strong deterrent against any attack from the sea. Observers in Moscow said that Russia can do little else to help Assad. The chief of the Russian upper house's foreign affairs committee, Mikhail Margelov, openly acknowledged that this week, saying that Russia has "exhausted its arsenal" of means to support Syria by protecting it from the U.N. sanctions. Lukyanov said Russia has made it clear it would block any attempts to give U.N. cover to any foreign military intervention in Syria, but wouldn't be able to prevent Syria's neighbors from mounting such action. "Russia realizes that it has limited opportunities and can't play a decisive role," he said. 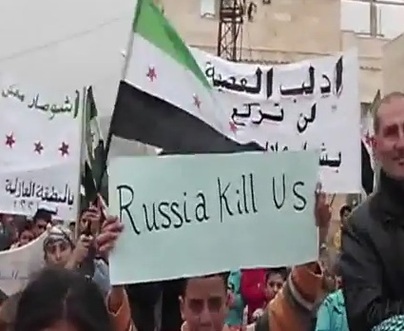 Pukhov also predicted that Russia wouldn't take any stronger moves in support for Damascus. "Going further would mean an open confrontation with the West, and Russia doesn't need that," he said. As the new American ambassador – Michael McFaul – arrived in Moscow, the policy of improving Russo-US relations, known as “reset,” began to unravel. McFaul, as director for Russia and Eurasia on the US National Security Council, was considered the designer of the reset policy. It is a terrible irony the Russian authorities used his arrival as a pretext to launch a massive anti-American PR assault. This week, speaking in parliament (the Duma), the flamboyant leader of the populist and nationalist Liberal Democratic Party (LDPR) Vladimir Zhirinovsky condemned deputies from the Just Russia (JR) fraction Ilia Ponomarev and Oksana Dmitryeva and Communist Leonid Kalashnikov, who together with the organizers of pro-democracy rallies attended a meeting at the US embassy with McFaul and Deputy Secretary of State William Burns on January 17. “What are deputies doing in an embassy of a nation that is plotting a war against Russia when a presidential election campaign is in full swing? They are traitors,” roared Zhirinovsky from the Duma podium and demanded the guilty must be kicked out of the Duma or be permanently denied the right to address the house till December 2016 by the Duma ethics committee (RIA Novosti, January 24). LDPR has been represented in the Duma since 1993, and Zhirinovsky is known to have always closely coordinated his political actions with the Kremlin. This week, the ruling United Russia (UR) without hesitation joined the fray: one of its leaders Andrei Isayev accused McFaul of being a “specialist in Orange revolutions” and supported deferring the case to the ethics committee. “Why are you deputies meeting the US ambassador behind closed doors? What are you hiding from the Russian citizens?” Isayev exclaimed and accused the JR leader Sergei Mironov, a candidate in the March 4 presidential elections, of “running to become a US resident.” Isayev alleged that the white ribbon, which has become a popular symbol of the mass pro-democracy movement “for just elections,” was invented by unnamed “US propaganda warfare specialists.” Isayev concluded: “The LDPR is an opposition party, but unlike JR, it is statist and patriotic, while JR is known more and more as a party of national treason” (RIA Novosti, January 24). The Duma ethics committee announced it is ready to look into the matter. Mironov’s defense of Dmitrieva, who is the number two in JR and Ponomarev was halfhearted, deferring any personal blame by telling reporters the offenders did not report or ask for approval in advance. The Communist leader Gennady Zuganov defended Kalashnikov’s attendance of the meeting in the US embassy by telling journalists “he was sent by the party to tell the Americans we will fight to the hilt the ‘orange plague’ the US is spreading” (Interfax, January 24). When Ponomarev, Dmitryeva and Kalashnikov, together with other opposition leaders, arrived at the US embassy on January 17, they were harassed by pro-government Nashi youth movement activists. The same day during the evening prime time “Vremya” news broadcast on state TV, prominent commentator Mikhail Leontyev accused McFaul of being an old time enemy of Vladimir Putin, who came to Moscow to organize a revolution. The footage showed the opposition figures arriving at the US mission, fending off the Nashi activists (Channel One, January 17). McFaul went into damage control and gave a large interview to Kommersant, stressing the entire fracas was a misunderstanding, that Barack Obama sent him to Moscow to enhance “reset,” that the meeting was between the opposition activists and Burns, while the ambassador was obliged to participate, that Nashi were also welcome at the US mission and that the Foreign Ministry received him cordially. McFaul implied the PR assault was not official Russian policy, since the reset was mutually beneficial (Kommersant, January 25). The reset with Russia seems to be Obama’s only foreign policy success in office and it would be unpleasant, if it is proven to be a failure in an election year. Of course, McFaul’s interview explaining in detail that Russo-US relations are much better than they seem was given before the Duma fracas lead by Zhirinovsky and Isayev exposed it as wishful thinking. Foreign Minister Sergey Lavrov has stated Moscow will defend the Syrian and Iranian regimes against alleged US-lead encroachments and categorically refused to support any sanctions. Lavrov stated: “We will not apologize or give explanations why we sell arms and ammunition to Syria” (www.mid.ru, January 18). The time of reset niceties is clearly over, but aggressive anti-Americanism has been previously used during electioneering by Russia’s rulers and might be scaled down after the March 4 elections, or it may not. The chairman of Russia’s Constitutional Court, Judge Valery Zhorkin (a man seemingly having little in common with Zhirinovsky), published this week an essay in a government newspaper explaining that NATO destroyed Libya by illegally killing Moammar Gaddafi and toppling the regime that was falsely declared “illegitimate.” Today, argues Zhorkin, a tiny, but vocal minority is staging rallies in Russia, aiming to destroy the regime by declaring elections rigged and the Duma and Putin as third term president – illegitimate. The minority protesters are, according to Zhorkin, vocally supported by the US, while NATO bombers and Special Forces will come into Russia later, like into Libya (Rossiyskaya Gazeta, January 26). While mass pro-democracy protests continue, relations with the US will go from bad to worse. The threatened and frightened rulers of Russia will not believe McFaul’s or any other’s words or deeds. The Heron TP, Israel's most advanced unmanned aerial vehicle (UAV) crashed Sunday morning during a test flight near the Tel Nof Air Force Base in central Israel. The Israel Air Force launched a probe to determine the cause of the crash and was looking into the whether it was caused by human error or was the result of a technical malfunction. 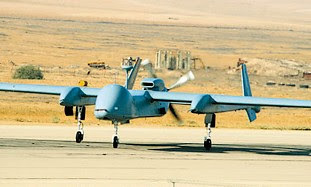 The Heron TP is the largest UAV in the IAF. It has a 26 - meter-long wingspan – the size of a Boeing 737 – and can stay airborne for up to 45 hours. It can carry 1,000 kg. in payloads, making it capable of conducting a wide variety of missions. The flight during which the crash occurred was a joint operation of the IAF and the Heron TP's developer, Israel Aerospace Industries (IAI). In July, France announced its decision to purchase the Heron TP in the first export deal for the UAV. The deal is estimated to reach close to $500 million over a number of years and could lead to additional contracts for IAI as other countries, such as Germany, seek to upgrade their UAV capabilities. The Heron TP was declared on schedule to be operational by the end of the year. Gen Sir David Richards, the Chief of the Defence Staff, is also highly critical of Nato’s command structure in Afghanistan, describing it in a new book as “disorganised and unhelpful”. His remarks highlight the infighting and political turmoil that surrounded Britain’s military deployment to Afghanistan in the summer of 2006. Whitehall was caught off guard by the seriousness of the situation in Helmand province, where British troops were deployed in Nato’s reconstruction programme. Most Labour ministers supported the view of John Reid, the defence secretary at the time, that “we would be perfectly happy to leave in three years’ time without firing one shot because our mission is to protect the reconstruction”. Intelligence assessments conducted in southern Afghanistan concluded that they would receive a hostile reception. “It was the equivalent of moving another gang into the East End of London,” one officer reported to London. “They [the Taliban] weren’t going to like it.” A detailed account of the military and political infighting during the deployment is in a new book by Sandy Gall, the ITN presenter who also runs a charity to provide Afghan victims of roadside bombs with artificial limbs. In Gall’s book, War Against the Taliban, Sir David says that the British military establishment was ill-prepared for the deployment of forces, despite its leading role in the overthrow of the Iraqi dictator Saddam Hussein three years previously. He criticises the Ministry of Defence for not providing “sufficient troops to dominate the physical and human terrain” and the failure of the Foreign Office and the Department for International Development to provide adequate resources for reconstruction. He also describes attempts by London and Washington to get the Taliban to engage in political reconciliation as “woeful”. Sir David also criticises the military establishment for being ill-prepared and with a “rather amateurish approach to high-level military operations verging on the complacent.” He also tempers his remarks by arguing that the war in Afghanistan can still be won and expresses his “clear faith” that “the British Armed Forces are now handsomely proving that they have the ability to reform and adapt”. In 2006, Sir David had a major row with Air Chief Marshal Sir Jock Stirrup, the then head of the Armed Forces, over the failure of British officers to co-operate fully with Nato’s command structure. “I am not prepared to accept these command and control arrangements,” Sir David bluntly informed Sir Jock. “I am not having anything to do with it.” The dispute was resolved only when Sir Jock complied with his demands. Sir David accuses the Government of not understanding “the practicalities of high command” by refusing to provide him with a helicopter, meaning he was unable to visit the troops under his command. Sir David also recounts a heated argument between Brigadier Ed Butler, the first British commander in Helmand, and an US general who took exception to him. “I nearly punched that damn Limey’s [Butler’s] lights out, he was so arrogant,” the US general said. NEW YORK (AP) -- Twitter, a tool of choice for dissidents and activists around the world, found itself the target of global outrage Friday after unveiling plans to allow country-specific censorship of tweets that might break local laws. DAVOS, Switzerland (AP) - An influential member of the Saudi royal family warned Wednesday that unless the Middle East becomes a nuclear weapon-free zone, a nuclear arms race is inevitable and could include his own country, Iraq, Egypt and even Turkey. Prince Turki Al Faisal said the five permanent U.N. Security Council members should guarantee a nuclear security umbrella for Mideast countries that join a nuclear-free zone - and impose "military sanctions" against countries seen to be developing nuclear weapons. "I think that's a better way of going at this issue of nuclear enrichment of uranium, or preventing Iran from acquiring weapons of mass destruction," the former Saudi intelligence chief and ambassador to the U.S. and Britain said in an interview with The Associated Press. "If it goes that route, I think it's a much more equitable procedure than what has been happening in the last 10 years or so." Turki said establishing a nuclear weapons-free zone "deserves everybody's attention and energy, more so than other activities which we see unfolding, whether it is redeployment of fleets in the area, whether Iranian or American or British or French, whether it is the sanctions efforts against Iran." The Security Council has imposed four rounds of sanctions against Iran, mainly targeting its defense and nuclear establishment, but Tehran has refused to suspend uranium enrichment and enter negotiations on its nuclear activities. It maintains its nuclear program is peaceful, aimed solely at producing nuclear energy, but the U.S. and many European nations believe Iran's goal is to produce nuclear weapons. Turki's proposal could impose sanctions against Iran if there is evidence it is pursuing weapons of mass destruction, which include nuclear as well as chemical and biological weapons. But it could also put Israel under sanctions if it doesn't come clean on its suspected nuclear arsenal. Israel is widely believed to have an arsenal of hundreds of nuclear weapons but has avoided confirming or denying their existence. An Arab proposal for a weapons of mass destruction-free zone was initially endorsed by the 1995 conference reviewing the Nuclear Nonproliferation Treaty, but never acted on. In May 2010, the 189 member nations that are party to the NPT called for convening a conference in 2012. Last October, the U.N., U.S., Russia and Britain announced that Finland will host the conference this year. Israel is not a party to the NPT and has long said a full Arab-Israeli peace must precede such weapons bans. But at the 2010 NPT review conference, the United States, Israel's most important ally, said it welcomed "practical measures" leading toward the goal of a nuclear-free zone in the Middle East. It remains unclear, however, whether the U.S. or veteran Finnish diplomat Jaakko Laajava, who is serving as "facilitator" of this year's conference, can persuade Israel to attend. Turki said his answer to American and British diplomats who say Israel won't accept a nuclear weapons-free zone is "So what?" He said the five permanent members should make an announcement on the establishment of a Mideast zone free of weapons of mass destruction, or WMD, at this year's conference in Finland. Turki cautioned, however, that actually establishing a WMD-free zone will take negotiations in which all the underlying issues in the region, from the establishment of a Palestinian state to the future of the Golan Heights, "will have to be dealt with to make the zone workable." "So there are incentives there for everybody to be serious about establishing an overall peace so the zone can be put in place," he said. Turki warned that if there is no WMD-free zone in the Mideast, "inevitably" there is going to be a nuclear arms race "and that's not going to be in the favor of anybody." The Gulf states are committed not to acquire WMD, he said. "But we're not the only players in town. You have Turkey. You have Iraq which has a track record of wanting to go nuclear. You have Egypt. They had a very vibrant nuclear energy program from the 1960s. You have Syria. You have other players in the area that could open Pandora's box." Asked whether Saudi Arabia would maintain its commitment against acquiring WMD, Turki said: "What I suggest for Saudi Arabia and for the other Gulf states ... is that we must study carefully all the options, including the option of acquiring weapons of mass destruction. We can't simply leave it for somebody else to decide for us." Sam LaHood, the son of U.S. Transportation Secretary Ray LaHood and the head of the International Republican Institute's (IRI) Cairo office, was blocked from departing Egypt earlier this week. He, along with a dozen other colleagues from American non-government organizations (NGO), have been placed on an Egyptian "no-fly" list, officials with IRI told Yahoo News Thursday. The younger LaHood was blocked at passport control when he went to the Cairo airport Saturday, Lorne Craner, the head of the IRI, a Washington-based pro-democracy non-government organization, told Yahoo News. The organization is raising awareness of the situation now because, despite calls from several high ranking American officials to Egyptian leaders to discuss the case, the situation does not appear closer to being resolved. President Obama, Secretary of State Hillary Clinton, Defense Secretary Leon Panetta, Deputy Secretary of State Bill Burns, and Senator John McCain (R-Arizona), the chairman of IRI, "have all been calling, they have all had very honest conversations with Egyptian leaders," Craner said. "And not only is nothing getting better, things are getting worse." "We are all scratching our heads over here," Craner continued. "I did two tours at State and one at the NSC. If the president called someone, something gets worked out." The White House and State Department acknowledged ongoing efforts to try to resolve the matter. "Yes, we have raised the issue of several U.S. citizens not being allowed to depart [the country] with the Egyptian government, along with the broader issue of NGOs," an administration official told Yahoo News Thursday. "Several US citizens have been questioned by judges in connection with the Egyptian government's investigation of NGOs and are currently restricted from leaving Egypt," a State Department official told Yahoo News Thursday. "We are working with the Government of Egypt to lift the travel restrictions and allow these individuals to come home as quickly as possible." Last month, Egyptian police raided the Cairo offices of IRI and several other NGOs, including the U.S.-based National Democratic Institute and Freedom House, confiscating records and computers. The raids were ordered by the Egyptian prosecutors' office, which is purportedly investigating alleged foreign funding of NGOs operating in the country. Craner said the younger LaHood's name began appearing in Egyptian newspapers a couple days after those raids--in reports that noted his familial connection to the US transportation secretary. The reports prompted Craner to start "nagging" the younger LaHood to leave the country. Ray LaHood, a former Republican lawmaker from Illinois, is the only Arab-American member of Obama's cabinet. But Craner believed LaHood is not being targeted because of that, but because he makes a high profile "target of opportunity." "Suddenly Sam's name turned up in newspaper in Egypt,....a few days after police show up armed" at their office, Craner said. "He was the first one on the no-fly list who happened to go out to the airport. I had been nagging him to leave." LaHood is among the employees of the raided organizations who have been asked to come in for long interrogation sessions with the Egyptian's prosecutor office, Craner said. The employees on the no-fly list are a "subset" of those who have been questioned. Middle East analysts note the irony of Egyptian prosecutors investigating whether the NGOs receive foreign funding, given the fact the U.S. government gives billions of dollars in military aid to Egypt. Other NGO officials suggested the problem is that the groups were not properly registered in Egypt, though IRI had been officially invited to send international monitors to observe Egypt's recent parliament elections. "Egypt's military council accuses NGOs of foreign funding even though at least 20% of its budget - $1.3 billion - is foreign funded," noted Shadi Hamid, the director of research at the Brookings Doha Center, at the time of those raids. But even before the latest incident, Congress had imposed several additional conditions before approving the next tranche of aid. "All the signs on this NGO issue are in the wrong direction," said Michele Dunne, a Middle East expert with the Atlantic Council, who observed Egypt's recent parliamentary polls with IRI. Beyond the refusal to allow some NGO workers to leave the country, she said, a "new draft NGO law is as bad as or worse than the old one," on the books under the authoritarian regime of Hosni Mubarak, who was ousted last year. "This behavior is shameful and hurtful to Egyptians and the U.S.-Egypt relationship," said James Zogby, president of the Arab-American Institute, in a press statement. "It should never have happened and [Egypt's ruling military council] SCAF should take steps to remedy the situation immediately." WASHINGTON — The United States has arrested and charged an Iranian semiconductor scientist with violating U.S. export laws by buying high-tech U.S. lab equipment, a development likely to further worsen Iranian-U.S. tensions. Prison records show the U.S. is holding Seyed Mojtaba Atarodi, 54, a microchip expert and assistant professor at Tehran's prestigious Sharif University of Technology, in a federal facility in Dublin, Calif., outside San Francisco. The Iranian interest section in the Pakistani embassy in Washington said it was aware of the arrest. Atarodi arrived at a bond hearing in federal district court in San Francisco Thursday wearing a green jump suit and bowed to his attorney. Before the hearing began, the judge closed the courtroom except to attorneys and members of the family. According to friends, Atarodi was detained Dec. 7 after stepping off a plane in Los Angeles. Dr. Fredun Hojabri, a former vice chancellor of Sharif University who now lives in the U.S., said he was aware of the case and noted that friction between the U.S. and Iran has long posed problems for Iranian researchers. U.S. law enforcement officials have declined to discuss any aspect of Atarodi's case, and records indicate the charges have been sealed. But a Sharif University spokesman said he has been charged with buying instruments from the United States. The university official spoke only on condition of anonymity because of the potential repercussions of the case. The arrest comes as the U.S., Israel and their allies are using diplomacy, sanctions and intelligence efforts to try to cripple what they suspect is Iran's drive to lay the foundations of a nuclear weapons program. Atarodi is listed as the author or coauthor of dozens of scientific papers dealing with microchip technology, though none appears to be explicitly related to military work. U.S. officials in the past have targeted suspected export control violators dealing in so-called dual-use technology, which can have both civilian and military applications. The Sharif University spokesman said Atarodi was engaged only in civilian research. "The fact of the matter is that he was just a professor, and he was trying to buy some equipment for his lab, and the equipment was very, very simple, ridiculously simple stuff that anybody can buy," the spokesman said. The arrest of an Iranian scientist in a U.S. embargo case is rare, with most cases focusing on low-level middlemen living in the U.S. recruited to act as fronts for purchasers in Iran. But Iranian researchers in recent years have become central figures in the struggle between Tehran and the West over the country's extensive nuclear programs, which the International Atomic Energy Agency says has included arms-related research. At least four Iranian scientists have died under mysterious circumstances over about the past two years, and Israel is suspected of playing a role in the attacks. In the most recent incident, Mostafa Ahmadi Roshan, a chemist and official at Iran's Natanz uranium enrichment plant, was killed by a car bomb Jan. 11, reportedly while on his way to a memorial service for a scientist slain a year earlier. For years, Iran has insisted it is only interested in the peaceful uses of atomic energy and has resisted United Nation demands that it abandon its extensive uranium enrichment efforts. Enrichment technology can be used to make fuel for nuclear reactors or fissile material for bombs. The U.S. and Israel, meanwhile, are believed to have recruited Iranian scientists as agents or encouraged them to defect. A friend of Dr. Atarodi's, John Choma, a professor of electrical engineering at the University of Southern California, said he learned of the arrest from Atarodi's brother, who lives in the Los Angeles area. The brother did not respond to requests for an interview. Hojabri cited an incident in 2006 when more than 50 Iranian scientists, executives and engineers headed for a forum on disaster management in Santa Clara, Calif., were detained and expelled after their arrival because their visas were revoked. The event was organized by a Sharif University alumni group.